Please arrive 10~15 minutes in advance to enable class to start on time. We continue to train throughout the year, however the classes are not held on public holidays. 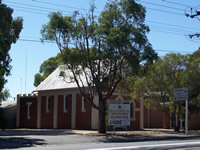 Immaculate Heart of Mary's Primary School, 95 East St, Brompton SA 5007.